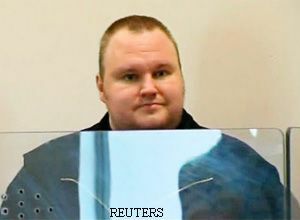 The website Megaupload.com, which was shut down by US authorities over copyright violations, is among the world's most popular filesharing and streaming websites with a reported 50 million users a day. But for copyright holders in the music, television or film industry, the website embodies theft and piracy of cultural works. The Hong Kong-based site and its different domains such as MegaVideo, offers to host files for free or for a fee if they exceed a certain size. All kinds of files are can be uploaded including music, film, books or software files. Once they are online, they can be downloaded by other users for free. The website also offers streaming of films and television series, much like YouTube or Dailymotion. Streaming is a more popular practice as it is not illegal, contrary to downloading. Dozens of other websites offer exactly the same kind of filesharing service, such as Rapidshare, Filesonic, Fileserve or Depositfiles. However, Megaupload has become the most popular of them all as it is easy to use. In a promotional video broadcast on line in December, Megaupload claims to have 50 million users a day. According to Google figures posted in July 2011, the filesharing site was the 91st most visited website in the world with 34 million unique visitors and 500 million page. The site undoubtedly hosts some legal content. Popular with Hollywood celebrities, music stars such as Kanye West and Will.i.am count among music stars who appeared in its promotional video. Nevertheless, it is clear that among the content are files that have been shared illegally. In its defence, the website said it was impossible for it to check everything it hosts. US authorities has charged that the website generated more than $175 million in criminal proceeds and caused more than $500 million in harm to copyright owners by offering pirated copies of movies, TV programmes and other content.